Standing watch is something you have to do, so make sure you understand its whys, hows and whats. I came on deck at 0200 on a cold, clear March night and looked around. We were 100 miles south of Turtle Bay on a 65-foot sailboat doing 9 knots on what was an amazingly calm delivery from Cabo San Lucas to San Diego. It was pitch black, but the stars reflecting on the surprisingly flat water had an eerie vertigo effect that seemed to blur the sky and the sea, obliterating any sign of the horizon. I turned to the helmsman, who was making his first night passage. I could see his eyes, as big as saucers, in the dim glow of the compass light. “You OK?” I asked. A captain I know once summarized watchstanding as such: Stay awake, get to where you’re goin’, don’t hit nothin’. And while that is the crux of the issue, there’s a bit more to it than that. Arguably, watchstanding starts before you even leave the dock. Good preparation by the captain and crew will ease what happens later; it’s 80 percent of the passage. First is safety planning. The crew needs to know what to do in case of fire, flood, catastrophic failure, collision, man-overboard and abandon ship scenarios. Making and reviewing checklists is a good start. Review the vessel’s strengths, weaknesses and idiosyncrasies with all on board, to minimize midnight and mid-passage surprises. 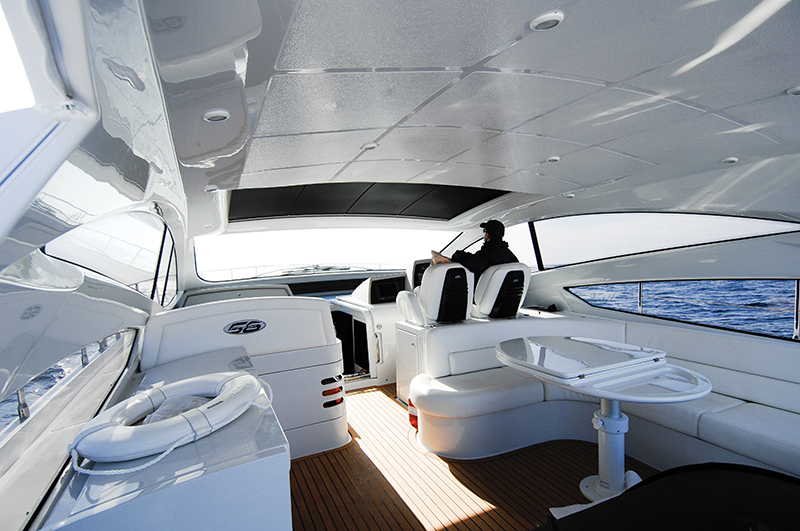 Teach the crew the boat’s electronics suite and outline how you expect them to use the equipment. Assess the crew’s strengths and weaknesses, and think about the duty roster and if you will need to pair experienced crew with newbies. Put fresh batteries into all flashlights and handheld devices. Top the tanks with water and fuel. Don’t get overly optimistic regarding range, and always calculate in a fuel reserve. I once suffered through a skipper who wouldn’t buy enough diesel in the Marquesas, which led to serious problems before we reached Tahiti. Finally, get lots of good food. If you’re expecting a long or rough passage, pre-cook and freeze meals, so watchstanders can be fed quickly and get to their bunks for rest. Stock plenty of instant soup and oatmeal, which can be made with hot water and that each watch is responsible for refilling. Get caffeine in whatever way the crew requires — coffee, tea, soda — and bring on a ton of snacks, the kind of salty, sweet, engaging food that keeps people awake and busy on watch. Ask all crew for specific health issues and allergies. Anaphylactic shock from an accidental nut ingestion won’t be fun at 0300. I don’t allow alcohol for any working crew while the vessel is moving. Watches are either fun (small percentage of the time), frightening (super small percentage of the time) or boring (most of the time). Structuring a workable schedule or duty roster to get through watches depends on many factors, including the type and complexity of the boat, the number and experience of the crew, the length of the passage, the weather and sea state, and whether you have a working autopilot. If you’re lucky, you’ll have three or four crew on extended passages, but couples often take on lengthy voyages themselves. So I repeat, a workable and equitable roster is necessary, because watchstanding can either be a great shared experience or a precursor to divorce. There are about as many opinions on watch schedules as there are boaters. The old standby is four hours on and four hours off, dogged or rotated with one shorter watch, so the schedule moves people to different watches automatically. Conventional wisdom dictates that humans are at peak performance and concentration for about four hours before they need a break. After that, the likelihood of making mistakes increases sharply. For passages of 24 hours or more, some captains will change that to four hours on during the day and three on at night, since it’s harder to stay awake and conditions can be more disorienting at night. With a crew of two, that leaves around three hours of sleep per cycle per person, because you have to build in time to eat, clean up, use the head, dress, undress and potentially do some chores — cooking, cleaning, and attending to the needs of the boat. It’s never really four hours of good sleep. Depending on the circumstances, I prefer to change up the schedule to provide at least six hours of continuous off-watch time, to help the body manage for the long haul. You can do six hours on during the day with two-, three- or four-hour rotations during the night. Most people will be able to sustain this schedule longer and remain fresher. An extreme but viable schedule for two includes non-rotating watches of eight hours, as provided by a sailing couple. She takes the 0800 to 1600, he takes 2000 to 0400. The remainder of the time, they are both awake, conducting loose watches and doing chores, mostly during daylight hours. She enjoys the sunrise while his body adjusts well to the dark, and the overlapping hours give them time to socialize and eat together. With the non-rotating watches, on long trips, one’s body has time to adjust and develop a new normal without the effect of rotating shift work, and the schedule is easier to remember because it never changes. Such an arrangement relies on a working autopilot and benign conditions, but the benefit is arriving at the destination in good shape and without the need to sleep most of the first day in port. Schedules are adjusted when there is more than one person on watch at a time, when there is ample crew, when some crew are inexperienced and need to be paired with other crew, or when the conditions are such that one needs to hand steer or monitor other possible critical systems aboard. Hand steering a large vessel in heavy seas can be taxing; wrestling the wheel makes one’s shoulders burn and arms ache. Sometimes, it’s too hard to steer for more than an hour at a time. Rotated or extremely short watches can wreak havoc on one’s circadian rhythm (natural biological sleep cycles), which typically leaves one of the crew a little off kilter every few days. Coming from Hawaii to California on another 65-foot sailboat, we had a crew of five on rotating three-hour watches during what turned out to be an 18-day delivery. You could always tell who had the off day, because that person either moved around in a haze but couldn’t nap, or slept through every meal. If a dogged schedule is used, rotate watches forward, not back. It’s easier to stay up longer than it is to get up earlier. In these systems, nobody gets stuck with the same middle-of-the-night watch, but it may be more difficult for people to remember when they need to be topsides. I don’t single-hand, because it’s dangerous and makes insurance companies unhappy. But sometimes if your crew is seasick or otherwise incapacitated, you’re all you’ve got. In that case, it’s best to slow the boat’s speed (especially at night), stay warm, dry, and fed, and get really friendly with an egg timer so you can catnap in 15-minute increments. This is not advisable on near-coastal passages where there is more traffic. 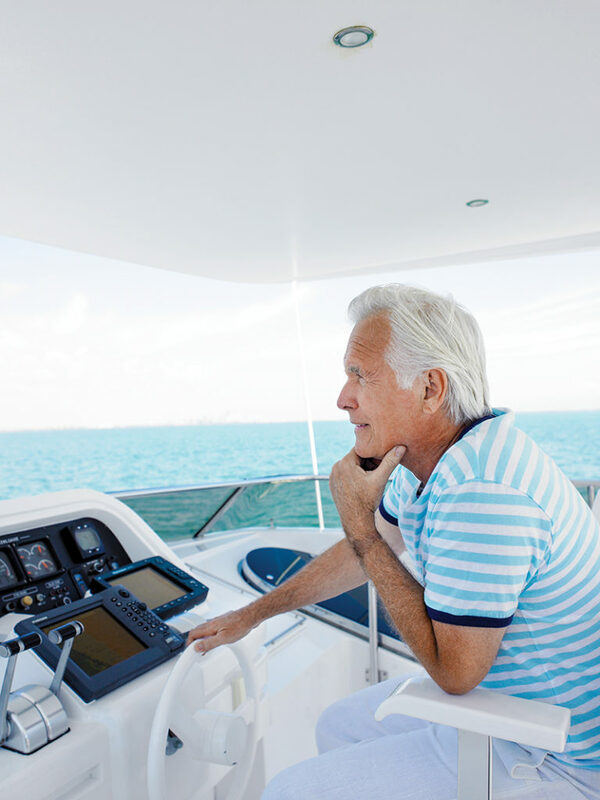 When traveling at higher speeds (say 15 knots or faster), more frequent scans are necessary. In rough conditions, fog or at night, I like to slow down by throttling back or shortening sail. It’s good to rotate chores, so nobody feels stuck with the dirty jobs. That said, pink and blue jobs are alive and well, and arguing about them on a passage may not have optimal results. If you can cook, you may get the bulk of the meal preparation, and if you are mechanically inclined, care of the engine and systems will fall to you. Everyone knows how to clean, go through the veg locker to find rotting tomatoes and attend to kids if they’re aboard. Sharing and caring is the only way to get through long watches. Everyone should know the basics of the onboard navigation and electronics equipment and be able to use the chartplotter, radar, AIS and VHF radio. 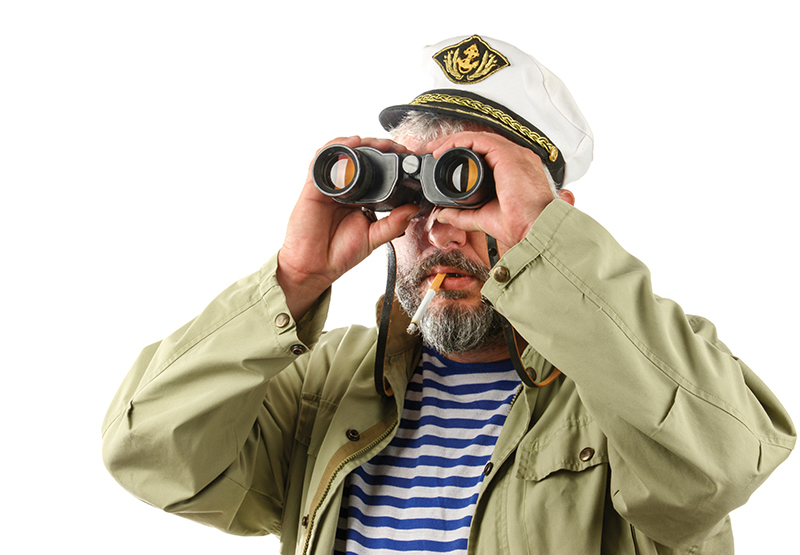 Watchstanders should conduct a 360-degree scan of the horizon every 10 to 15 minutes, because large ships move quickly and though they may not have been visible the last time you checked, they can be on you in a very short time. Keep a timer handy — a phone, audible stopwatch or egg timer. Usually, powerboats have the benefit of a warm and dry helm station from which to operate, but the drawback is that the electronics reflect off the windshield, which limits visibility at night. That’s when the person on watch sticks her head out and uses binoculars to scan the horizon 180 degrees on one side and then the other. She should also scroll up and down in range on the radar to see what’s near and far and check the AIS collision system. Watchstanding becomes more active on near-coastal passages or in shipping lanes. Commercial fishing boats along the coast are often working and do not have a proper lookout. Everyone should be taught how to set the electronic proximity and engine alarms, and standing orders should be clear and specific as to what to do and when to wake the captain. If in doubt, get another hand or pair of eyes on the situation. I like to do hourly engine and bilge checks. That may or may not be feasible, depending on engine room access. Do not assume that an engine room camera will do the job for you. All crew should be able to do an hourly log entry, which includes vital information — course changes, speed, traffic, hazards, weather, any developments with the boat (e.g., changes in engine temperature, fuel consumption) — that can be relayed to the oncoming watch in a concise briefing. Don’t leave out vital information, but don’t overwhelm the guy who’s coming up from a dead sleep with a lot of superfluous detail. Wake the next watch 15 minutes before scheduled show time, so he has time to dress, pee, have a cup of something and get his bearings. I make the new person repeat back to me what I just said, to ensure real communication actually occurred. Crew and captain should check in with each other daily. A real discussion and eye contact are necessary to ensure the crew aren’t hiding that they are feeling ill or exhausted. While doing the log entry (in ink because it’s a legal document) I also check the GPS and plot the boat’s position on a paper chart (in pencil because I only have one chart). Yes, that’s old school, but offshore it’s about using a belt and suspenders. I also have a light list handy, because identifying vessels and their orientation at night can be tricky. Staying awake can be a challenge, but remember that the watch is responsible for the safety of the vessel and the lives of all aboard. Carelessness can be catastrophic, or it can just be annoying, because if the on-watch crew can’t be trusted, the off-watch crew won’t be rested. I can’t read on a night watch, because I’ve trained myself that reading equals a sleep aid. I don’t like to wear headphones for music, because I want to hear the sounds of the boat. I usually make lists of to-do items or sightseeing destinations once we arrive. I also plan the next day’s menu and think of games or fun tasks for when the crew is together and socializing the next day, because we’re not barbarians and need to keep things fun. I also exercise — somewhat. On longer passages in reasonably calm weather, I conduct deck checks during daylight hours, to see what may be coming loose or breaking. It’s always disconcerting to find a bolt on deck and not be certain where it came from. This entry was posted in Featured by Stephanie Shibata. Bookmark the permalink. Next → Next post: Whether at Work or at Play Remember it’s a Shared Waterway. Know the Navigation Rules and Enjoy Your Day! Copyright © 2019 Boating Safety | US Coast Guard | Sea Magazine. All Rights Reserved.